No, not bragging … bagging. As you may know, the Pope has declared an extraordinary jubilee this year, the Year of Mercy. 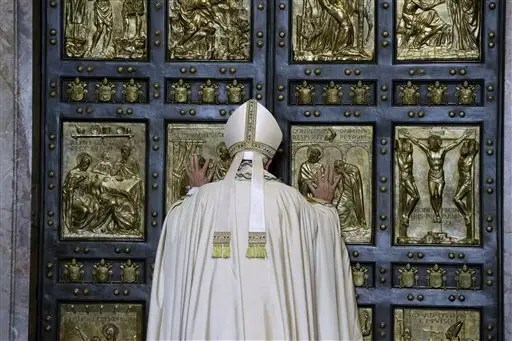 This means different things to different people, but it also means that the Holy doors of the cathedrals and major churches around the world will be opened. They will in effect become doors of Mercy, open to everyone who seek it. Now a door is just a door, really, no matter how big or old or ornate it is and how often it is opened or closed – and regardless which mortals are considered worthy of passing through them. Mercy is about something else entirely, but still there is something about the symbolic act that I really like; opening the door, letting people – all people – in, giving them the freedom to come and go as they wish. I looked forward to (no doubt queueing up to) walk through the Holy door at the cathedral in Santiago in April. I did it in 2010 during the Ano Xacobeo, but I didn’t walk in then, I was on a short visit with a friend. I thought I wouldn’t be able to do it again until 2021, the next time the Feast Day of St James falls on a Sunday and the door is opened. As it was, even this time I didn’t stay, as there were just too many people inside and out. A good thing, surely, but not necessarily good for contemplation. Now it turns out I will be able to bag more Holy doors this year! I have been invited to go to Rome with a good friend who has always dreamt about going, and naturally I said yes. Tickets are booked already, and I have my new guide book. In it I intend to mark, with yellow highlighter, where the Camino comes into town, and where the other Holy doors are. I then hope to be able to catch a bus or train out of the city centre and walk in, following the pilgrim signs, and go through the Holy doors at St Peter’s basilica and Santa Maria Maggiore and probably a few more as sightseeing is on the cards. I will also be going home to Trondheim, Norway at some time this summer and will visit Nidarosdomen, the Nidaros Cathedral, which might have one. I had hoped to be able to walk there this year but unfortunately work and other commitments have conspired against both me and my Norwegian walking partner. I have always loved the idea of walking into my home city a pilgrim, after experiencing a part of the country I have never really been to and definitely never walked in before. Now I have set a date for it! St. Olav’s Way – we have a date! Old idea, new camino tip!